The Design Review Recommendation Meeting regarding the development on the City People’s lot will be held on September 13th, 2017, 6:30 pm at Seattle University, 965 12th Ave, Pigott Bldg, Room 104. The project has been through the “Early Design Guidance” (EDG) meeting three times. At the third EDG meeting, the board approved the project to go forward through the permitting process, with the expectation that the Design Review Board’s concerns would be addressed in this upcoming Design Review Recommendation meeting. 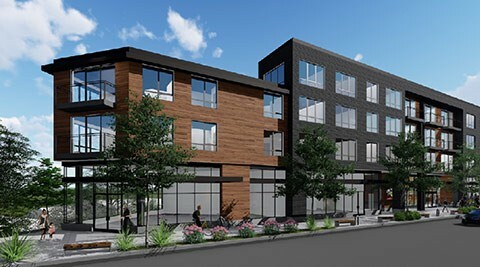 You can read more about Design Review and how it fits into the Master Use Permitting process in this document from the Seattle Department of Construction and Inspections (DCI). The Design Review Recommendation Meeting may be your last chance to provide public comment on this project’s design. The project is currently at 9 of 12 in the design review process timeline, see page 4 of the PDF linked above. This meeting is also described in the section labeled “Step 4: Design Review Board Recommendation Meeting” on page 8 of that same document. Note that Seattle’s Municipal Code allows either the developer or DCI to require additional Design Review meetings, so this may not be the last public meeting on the design aspects of the project. You can review the design proposal packet here. Warning, it's a large file, ~64MB. What would the community like to see?